6. 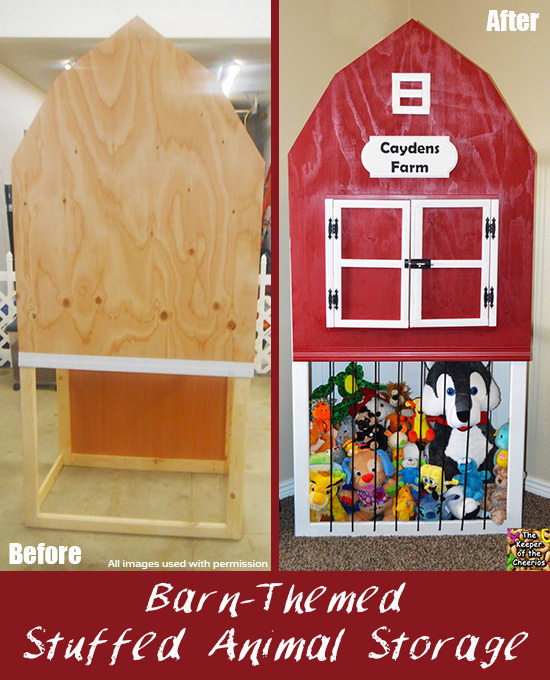 Keep all the animals in the barn house or the zoo with this creative Stuffed Animal Storage idea from the Thrifty Couple. Such a cute idea!